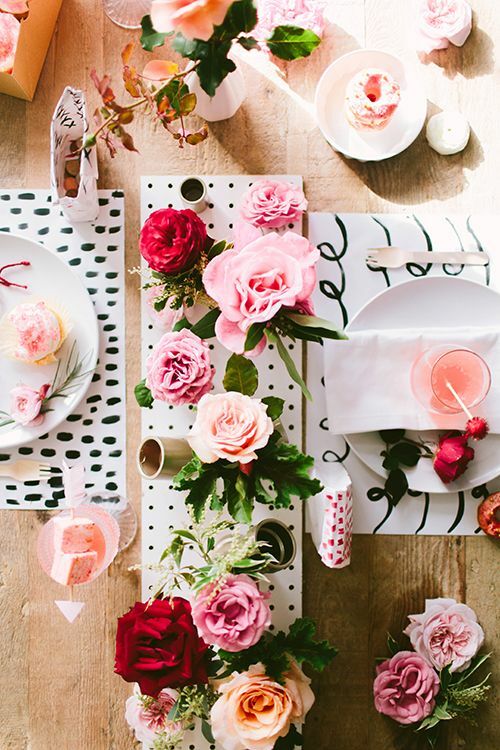 With Valentine's day next week I thought I would share some cute, festive tablescapes that I think would be perfect for this coming holiday! 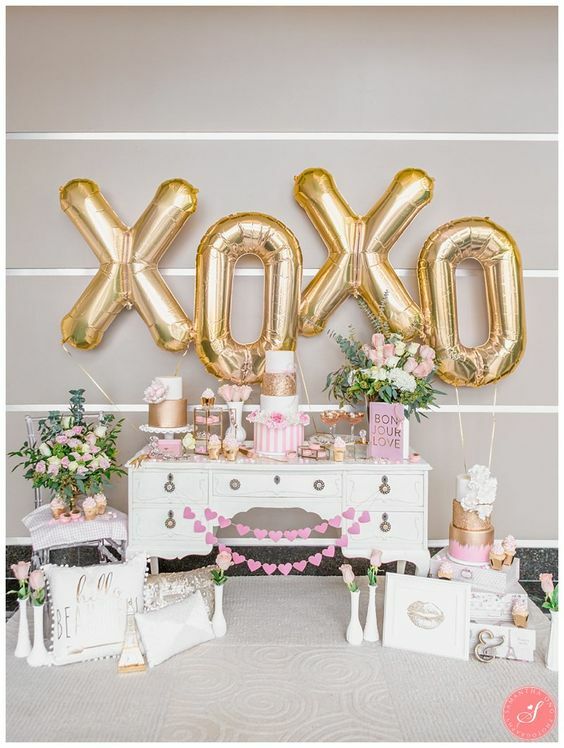 Whether it's a set up for you and loved on or something festive for your kids there are so many easy ways to dress up things up for the big day of looooooove. 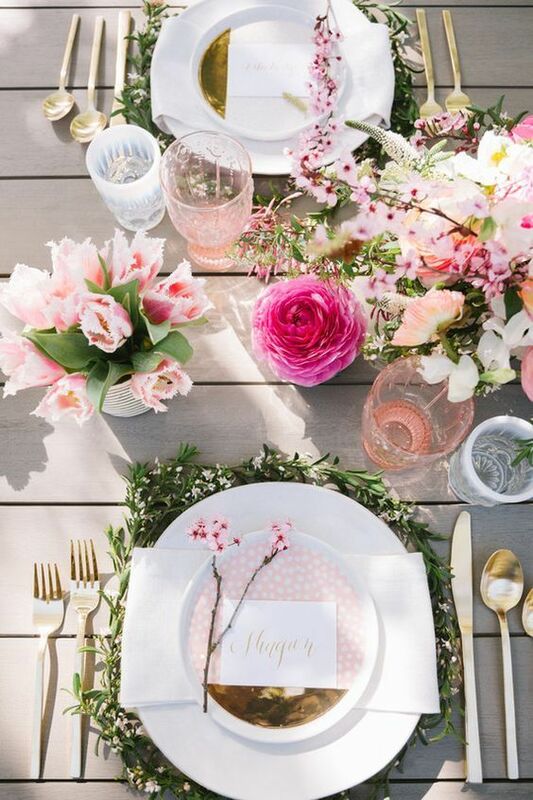 I love the simple single floral across the plate it looks so pretty. 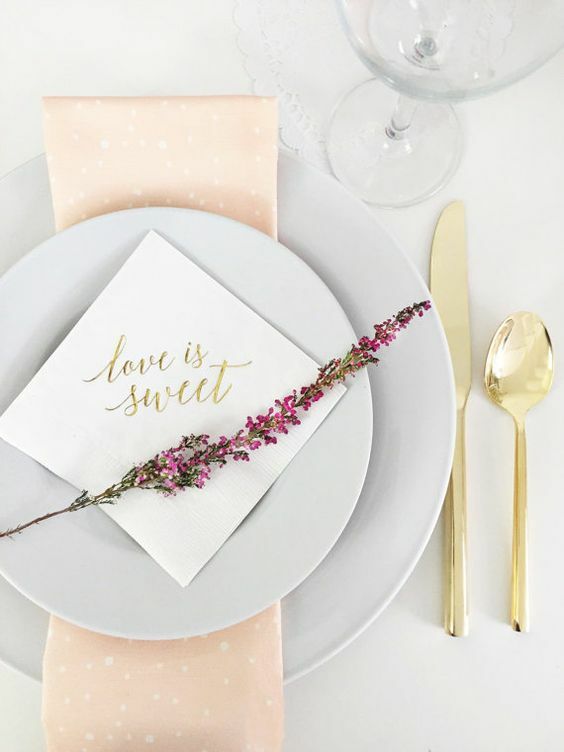 Tables don't always have to be the traditional pink and red, I love this neutral take! 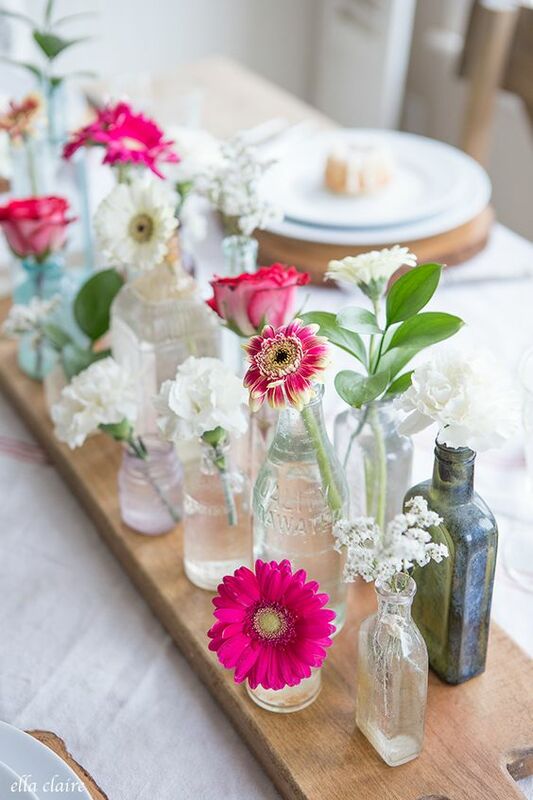 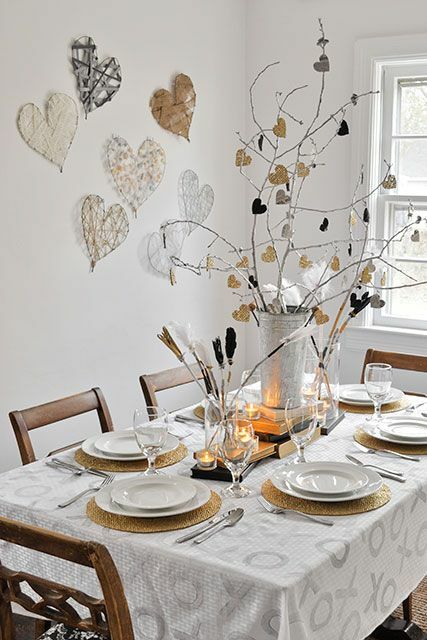 I always love a lovely hanging centrepiece and this one definitely makes a statement! 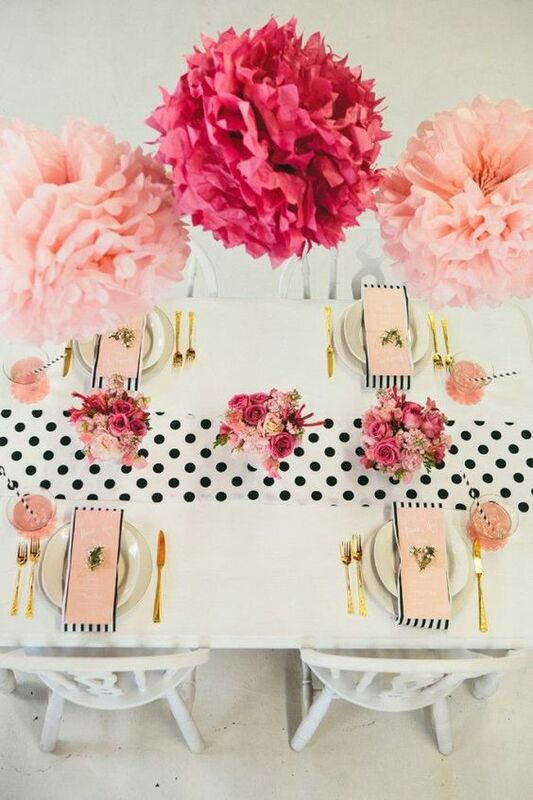 I adore the polka dot runner on this table it brings a bit of fun but is still classic where it's black and white. 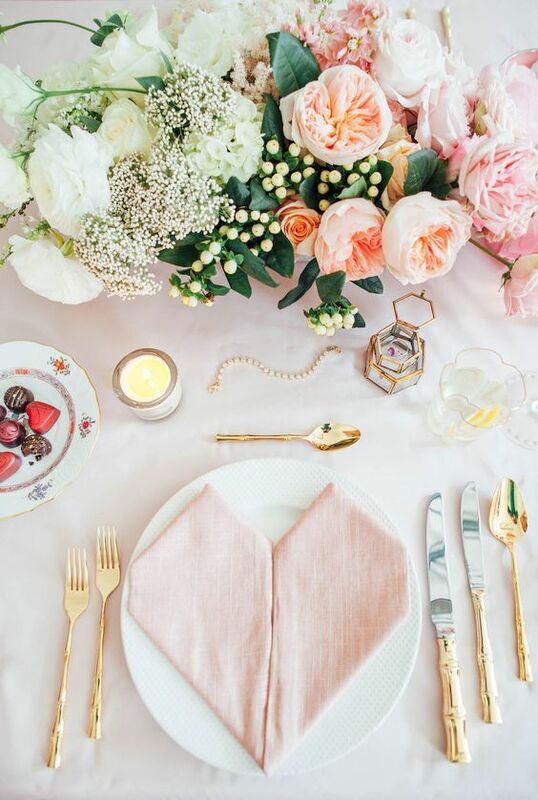 Love how feminine and pretty this is and I am such a sucker for brass-ware I need some in my life, it makes everything look a little more glamorous. 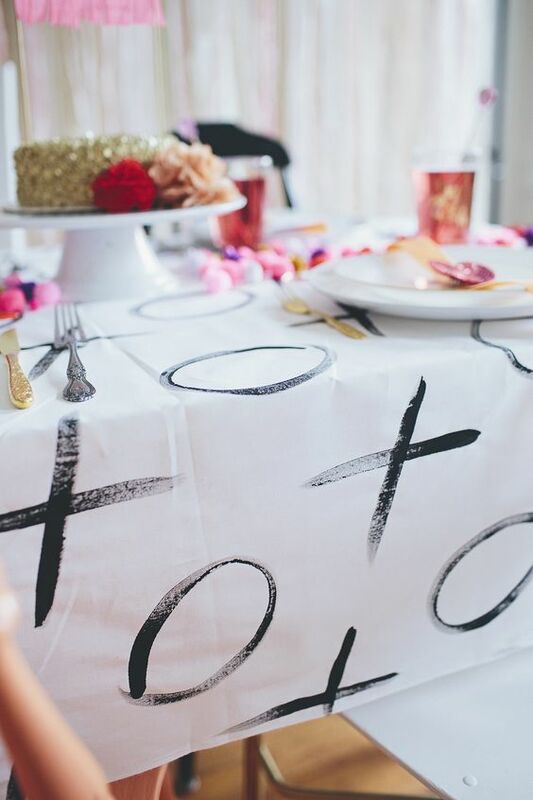 Believe it or not this table cloth is a diy and is such a fun little project with high impact! 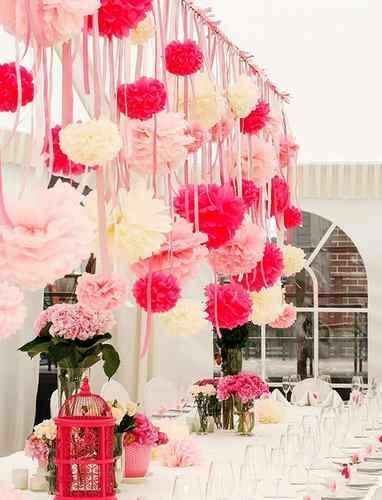 I love the balloons behind the table, it's such a simple way to create a focal point.